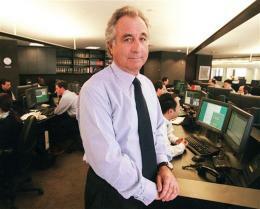 The name Madoff will remain infamous for decades to come, particularly for the thousands of victims whose lives were upended when the scheme finally came to light in December 2008. After a cooperative Madoff quickly pled guilty three months later, it became clear that the impeccable reputation and vast financial empire associated with the Madoff name was, in reality, the largest Ponzi scheme in United States history. Indeed, as the aftershocks of the fraud spread through various financial circles at the height of the financial crisis, many more schemes began to surface as money managers came under greater scrutiny and investors fled the market. In total, while Madoff had managed approximately $65 billion in paper "balances", investors' principal loss was estimated at $17.3 billion. Court-appointed bankruptcy trustee Irving Picard has recovered slightly over 50% of investors' principal losses as of May 2012. The trustee's website is here. Ponzitracker coverage of the Madoff scheme is located here. A cricket aficionado and one of the individuals single-handledly responsible for the overhaul of Antigua's international banking system, Allen Stanford was chairman of Stanford Financial Group and operated an umbrella of entities that purported to sell certificates of deposit to investors - a supposedly nearly risk-free investment. Investors were promised above-average returns that authorities said were nothing more than hypothetical results rather than actual data. Unlike Madoff, Stanford vigorously contested the charges, and spent several years in various prisons awaiting a trial that was delayed when Stanford claimed amnesia after suffering a prison beating. Stanford was convicted of nearly all counts at a January 2012 trial, and is scheduled to be sentenced in June 2012. He will likely be sentenced to at least twenty years in federal prison. The court-appointed receiver's website is here. Ponzitracker coverage of the Stanford scheme is located here. Thomas Petters was once a successful businessman whose financial empire included the once-prominent brands Polaroid and Sun Country Airlines. After the FBI began investigating Petters for his role in a fraud scheme, two of Petters' employees approached authorities to confess to their participation in a massive Ponzi scheme that totaled nearly $4 billion. According to the employees, bank statements and other documents were fabricated in order to obtain billions of dollars in loans. 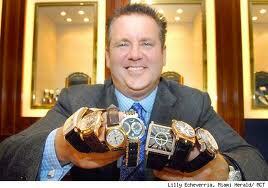 Petters would then fabricate purchase orders to convince other lenders that he was buying merchandise from suppliers. As the loans piled up, Petters would use proceeds from other loans to pay off outstanding loans. As the situation deteriorated, Sun County Airlines went bankrupt and Petters was arrested. 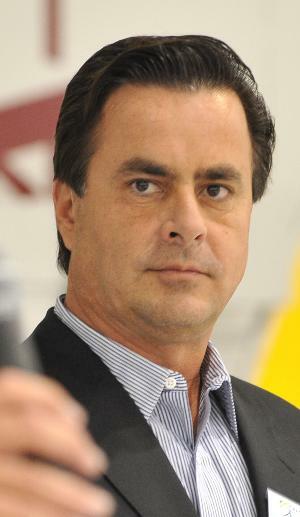 Electing to stand trial, Petters was convicted in December 2009 of 20 counts of conspiracy, wire fraud, and mail fraud. He was sentenced to fifty years in prison in 2010, and the Supreme Court later declined to review his sentence. Ponzitracker coverage of the Petters scheme is located here. A partner in the Florida law firm Rothstein Rosenfeldt Adler, Scott Rothstein ran a scam in which he sold interests in proceeds of lawsuit settlements. However, there was only one problem - there were no lawsuit settlements. Instead, Rothstein falsified bank statements and lawsuit documents, even a judicial order, to convince investors of the scheme's legitimacy. While investors thought they were purchasing shares in lawsuit settlements, instead they were supplying Rothstein with funds to pay purported returns to older investors. When the scheme was exposed, Rothstein had firm lawyers investigate which countries did not extradite back to the U.S. and fled to Morocco with millions in investor funds. He was later convinced to return, and ended up pleading guilty to five federal charges. He was sentenced to fifty years in prison - more than the forty years prosecutors had argued for - but has cooperated extensively with the government in hopes of receiving a reduced sentence. The court-appointed trustee, Herbert Stettin, has established a website here. Ponzitracker coverage of the Rothstein coverage is located here. The Securities and Exchange Commission brought an enforcement proceeding in September 2013 accusing Fujinga and MRI International ("MRI") of perpetrating an $800 million Ponzi scheme directed at Japanese investors. Investors were told that Fujinaga and MRI would purchase accounts from U.S. medical advisors with outstanding balances to collect from insurance companies. Because the company was able to purchase these accounts at a discount, investors were promised a sizeable profit once the full amount was collected from the insurance company. MRI primarily targeted investors living in Japan, and often hosted these investors in the United States for presentations and tours of MRI's office in Las Vegas where investors were promised annual returns of up to 10.32%. Over 8,000 people are estimated to have invested in MRI. Ponzitracker coverage of the MRI scheme is located here. 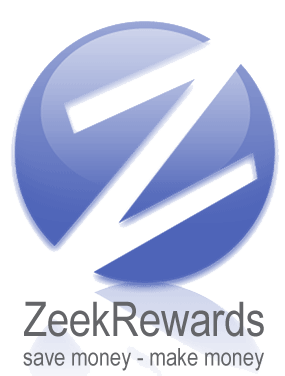 The Securities and Exchange Commission brought a civil enforcement proceeding in August 2012 accusing Zeek Rewards of perpetrating a massive Ponzi scheme that held itself out as a penny-bid auction site promising 1.5% daily returns to its members. Burks entered into a consent judgment neither admitting nor denying the Commission's allegations, and agreed to pay a $4 million civil monetary penalty. The court-appointed receiver, Kenneth Bell, has disclosed that his preliminary investigation shows that there may be as many as 2 million victims, and that the preliminary $600 million loss estimate may also need an upward adjustment. The receiver's website is here. Ponzitracker coverage of the Zeek scheme is located here. As founder and president of Capitol Investments USA, Inc., Nevin Shapiro purported to earn lucrative returns through the "grocery-diverting business" by purchasing lower-priced groceries in one region and reselling those same groceries for a profit in another region with higher prices. Investors were told the venture was risk-free, and could expect annual returns ranging from 10% to 26%. Shapiro raised at least $900 million in the scheme, using the vast majority of investor funds not to engage in the grocery-diverting business, but instead to pay fictitious returns to earlier investors in typical Ponzi scheme fashion. Shapiro was sentenced to serve twenty years in federal prison in 2011. He was the subject of a tell-all Yahoo! Sports story in August 2011 that detailed numerous impermissible benefits to former student-athletes in the University of Miami football program. Ponzitracker coverage of the Shapiro scheme is located here.